April 23rd marks the feast day of St George the Great-Mar­tyr and Tro­phy-Bear­er and of St Alexan­dra the Mar­tyr Empress (III c.). From the time of her recep­tion into the Ortho­dox Church, the Empress Alexan­dra took the lat­ter as her patron saint and marked her feast as her saint’s day. 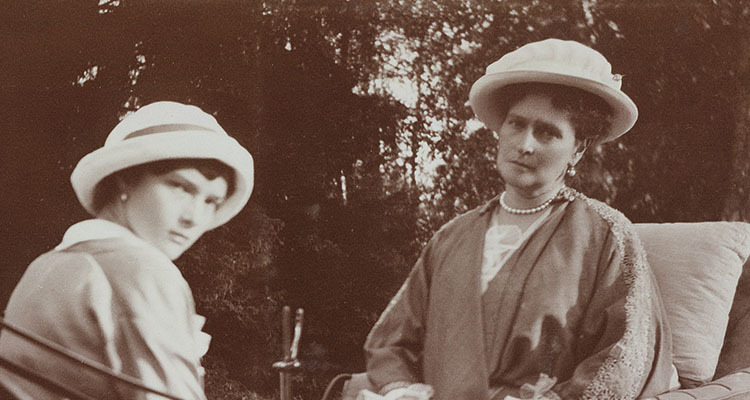 Below we pro­vide an account of this occa­sion in 1917 from the diary of Fr Afanasy Belyaev, who served as chap­lain to the Roy­al Fam­i­ly dur­ing their forced con­fine­ment in the Alexan­der Palace at Tsarskoe Selo. 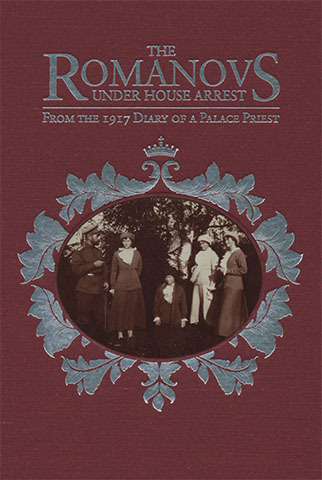 Excerpt­ed from The Romanovs Under House Arrest: From the 1917 Diary of a Palace Priest, ed. Mar­i­lyn Swezey (Holy Trin­i­ty Pub­li­ca­tions: Jor­danville, NY), pp. 37–8. 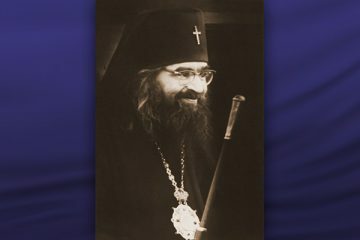 April 22 and 23, 1917 — The saint’s day of the for­mer Tsa­ri­na Alexan­dra Feodor­ov­na. It had already been announced on the six­teenth that Her Majesty wish­es me to bring the akathist [to the Great Mar­tyr St George] to be read at the all-night vig­il on the twen­ty-sec­ond. This was done. At 6:30 p.m., the vig­il ser­vice began. The entire Impe­r­i­al Fam­i­ly came, dressed in bright, fes­tive gar­ments. The son, four daugh­ters, and their par­ents, and the entire staff of ser­vants. After the six psalms and the small litany, the akathist to the Great Mar­tyr St George was read. 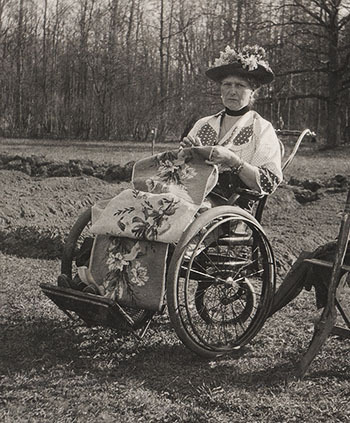 Empress Alexan­dra Feodor­ov­na with her needle­work dur­ing an out­ing in the Alexan­der Park. 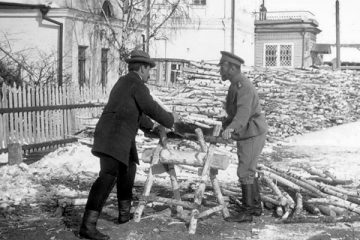 Ground pre­pared for the veg­etable gar­den can be seen behind her. 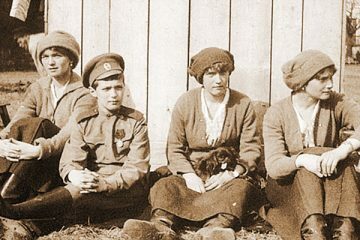 Spring 1917. At the end, there was a spe­cial prayer for Her Majesty Tsa­ri­na Alexan­dra. The next day, all of the same peo­ple, dressed in fes­tal gar­ments, came to the Divine Litur­gy. Before the litur­gy, we served a moleben for health, and dur­ing the litur­gy, instead of the usu­al prayer for vic­to­ry, a spe­cial prayer to the Holy Mar­tyr Empress Alexan­dra was read. The litur­gy con­clud­ed with my ser­mon on the occa­sion of the feast. As they approached the cross, I con­grat­u­lat­ed the Sov­er­eign and the Empress, giv­ing them each a prospho­ra [blessed bread]. 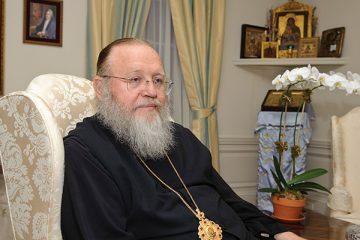 To the Empress, I extend­ed my con­grat­u­la­tions on her saint’s day, and wished her spir­i­tu­al peace, health, patience to endure those dif­fi­cult days, and help from the Lord, accord­ing to the prayers of the Holy Mar­tyr Alexan­dra. In response, the Empress expressed her thanks, mak­ing an effort to smile, but her smile was that of one who was suf­fer­ing and ill. Every­one in the church, upon kiss­ing the cross, made a silent bow toward the place where, near the screen, set apart from every­one else, the Impe­r­i­al Fam­i­ly stood. That was all to dis­tin­guish this day from any ordi­nary week­day spent in strict con­fine­ment. It sad­dened me to the point of tears. At mid-Pen­te­cost, on April 26, there was no ser­vice. April 30, 1917 — I served the litur­gy, and gave a homi­ly on the words of the Gospel God is Spir­it, and those who wor­ship Him must wor­ship in spir­it and truth…1John 4:24 I was speak­ing about endur­ing spir­i­tu­al suf­fer­ing, which faces man, aban­doned by every­one, in an inex­press­ible, oppres­sive state, hor­ri­fies him, and the sole com­fort he finds is in prayer. At this point there escaped from some­one such an irre­press­ible, loud and pow­er­ful, heartrend­ing sigh, that it amazed all of the lis­ten­ers. And that response of spir­i­tu­al tor­ment emanat­ed from the place where only the Impe­r­i­al Fam­i­ly was stand­ing. After the ser­vice, every­one ven­er­at­ed the cross. or any book­store or online book­seller.